Galaxy Note 2 Touching Down This Week? There's a Samsung event coming up on August 15th. That's Wednesday of this week. 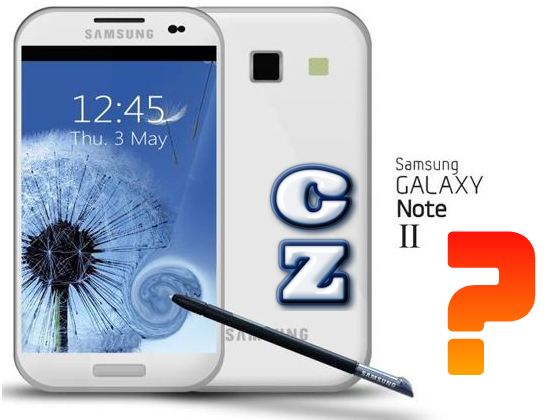 Rumor has it that Samsung is going to drop the news on the Galaxy Note 2. I'm ready to hear the details! The mobile event is called " Meet The New Way". I'm almost certain that this is going to be centered around the new "S Pen" stylus that will have new capacitive capability. That could be the "new way" they are eluding to. The stylus on the first generation Galaxy Note was good enough for me, but some complained that it wasn't exact. There were problems calibrating the tip, and lines could be drawn that were a millimeter or two off of the tip. I did notice this when I tested the device, but it wasn't a deal breaker in my opinion. Enter in the new capacitive S Pen which would in fact be a breakthrough feature. If you somehow add capacitive capability to the stylus, the sensitivity and accuracy should be out the roof. I'm terribly excited to try it out. The freshest rumors state that AT&T may have exclusive rights to sell the Galaxy Note 2. It is said to be sporting a huge 5.5" 720p display and possibly a Qualcomm Snapdragon S4 cpu. That means plenty of muscle combined with a gorgeous display and a breakthrough stylus. For the operating system, it is being said that it will feature Android 4.0 "Ice Cream Sandwich" with a new version of Samsung's proprietary overlay called TouchWiz Nature UX. Add double the RAM at 2Gb, and expect upgraded front and rear-facing cameras on this jumbo chunk of technology. All this adds up to me waiting patiently for my October 2012 upgrade to lock and load on the phattest phablet to hit the scene this fall. Bring it on, Samsung!